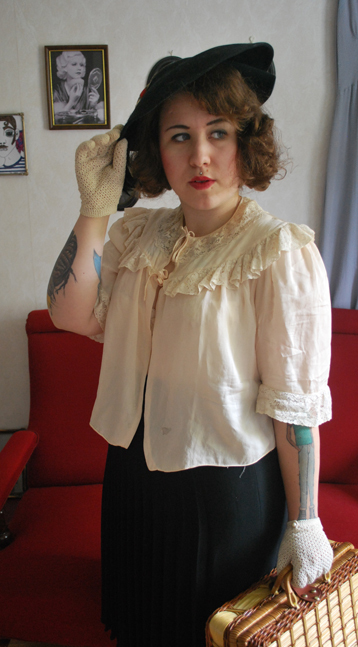 Josefine loves everything vintage, especially things from the beginning of the 19th century til the 30’s but also 40’s and 50’s. What inspires your vintage look? Hmm, old hollywood movie stars, burlesque dancers from the 30’s, other vintage gals, old photos of beautiful Edwardian girls from the beginning of the 1900’s, flapper girls and such things. What I love the most must be hats. Even though I have a little collection only with 8 hats or so. Wedding dresses is my new obsession too! I love lace! What’s your favourite piece of vintage? My favourite piece of vintage must be my 1920’s gold & beaded flapper dress that I bought in the most pretty vintage store called ‘Annies‘ in London. It’s a little bit to small for me though, so it’s hanging on the wall right now just looking delicious! If you could own any iconic vintage piece what would you choose? Hard one! Maybe one of Jean Harlow’s dresses or nightgowns? My style icons are Jean Harlow, Theda Bara, Marie Doro, Greta Garbo! I have so many style icons but these are the ones I’m quite obsessed with, if I can say so. Then in modern time, I must say I love Dita Von teese for having that vintagey look, she always looks so elegant! Do you have any style tips to share? I shop my clothes on Ebay, Etsy.com, charity shops, Old Touch (my favourite vintage shop in Sweden), but I feel London has a better range of vintage clothes (that I’m in to) my favourites store there are ‘Annies’ (where I bought my 20’s dress) in Camden Passage and ‘Vintage Emporium’ (on Brick Lane).. I could live in that store! It’s a bit expensive though. So is ‘Annies’, but if I had the money I’d hang there everyday! Do you have great vintage style? 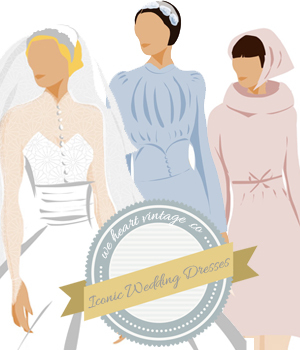 If you would like to be featured as one of our Vintage Style Heroes please let me know!